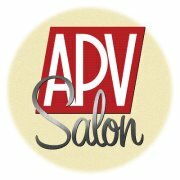 Please join us Monday, August 13th, from 6:15-9:00 p.m. as APV partnering with our sister organization Together Virginia brings you our monthly Salon. Our guest speaker, making her 7th Salon appearence, will be Virginia State Senator Jennifer L. McClellan (9th District). Senator McClellan is a leader in the Virginia Democratic party and in the General Assembly. We’ll be talking about the 2018 GA session, Medicaid expantion, the upcoming elections in November and our continueing response and resistance to the Trump administration and this Congress. Each month APV invites members and guests to a casual, after work get together at Helen’s Restaurant, 2527 West Main Street, Richmond, VA 23220 for a complimentary light dinner, wine and beer).